Black Friday and Cyber Monday weekend is the perfect time to get a great deal on smart home tech at Amazon. Whether you've been eyeing up one of Amazon's very own Alexa products, a Google Assistant or even a Nest thermostat, it's all sold on Amazon, and it's well worth waiting for Cyber Weekend to shop for it. So how to find the best Black Friday and Cyber Monday deals you ask? Well, we've got plenty of smart home tech in our buyer's guides, but obviously you want to be sure you've scored the best-priced Amazon deal, right? Well, buying it here on Black Friday weekend and Cyber Monday is your best option because we'll be updating this page regularly to bring you the very best bargains. Find all of the other best Amazon Black Friday and Cyber Monday deals and check out other latest bargains on our deals page. The home of Amazon Alexa and front runners in the world of smart home technology, Amazon have kick started their Cyber Weekend offers with deals on everything from smart home devices to smart bulbs, smart plugs and smart watches (shall we say 'smart' just a few more times?). Looking for smart home tech? As expected, buying online can be nerve-wracking BUT it's totally possible with our in-depth buying guides and deep reviews. Check them out for not just the best deals, but also bags of guidance. WHEN IS BLACK FRIDAY AND CYBER MONDAY? Black Friday is on Friday 23rd November, with sales lasting for about a week or so. Cyber Monday is the Monday after Black Friday, and this year it falls on the 26th November. Why should I shop at Amazon for smart home deals? Being one of the biggest Cyber Weekend retailers, Amazon goes full out every year, offering big savings on everything from its own home tech (think Echo, but also Kindles) to smart appliances. While we can't predict all the prices just yet, let's pray for a repeat of last year's Black Friday and Cyber Monday deals as Amazon slashed the prices on several of their own products. They also helped customers save a hefty £90 when purchasing a Hive thermostat. Are Black Friday and Cyber Monday smart home savings real? Don't miss your chance to subscribe to the best homes magazines in the world. Our titles include Real Homes magazine, Period Living and Homebuilding and Renovating. Yes, they are. However, since many products' prices change frequently, checking the price history of what you're planning to buy on CamelCamelCamel.com or PriceSpy will tell you whether the savings are real or not. These helpful sites also show you whether a price is likely to re-occur. Realistically, it's also likely that the smart home tech you're shopping for will be discounted again soon (think Boxing Day sales). So, always check, rather than be distracted by the recommended retail price, especially when it comes to big ticket home buys. Lots of deals will last from Black Friday through to Cyber Monday and beyond. For more details on other deals to expect as well as tips and tricks, dos and don'ts and how Black Friday really works, we've got you covered. Finding a smashing deal is the trickiest part of Black Friday weekend. And unless you're already certain on the smart product(s) you're going to grab, it can be difficult to even know where to start looking. The good news? We’ll provide a guide to the best Black Friday and Cyber Monday Amazon smart home deals (and, since you ask, on everything for your home, including TVs, mattresses, furniture, gifts and more). That way, we’ll do the browsing and you can snap up the bargains. In terms of preparing, we've got you covered on all bases. Take a read of our features to make sure that when the 23rd November rolls around, you know what to expect. Do you have to go to stores to get the best Black Friday deals? Is the smart home tech you're buying right for you? Luckily for us, we're able to tap the giant brains of our colleagues over at TechRadar, which means all our reviews and many of our smart home buying guides are researched and written by true experts. 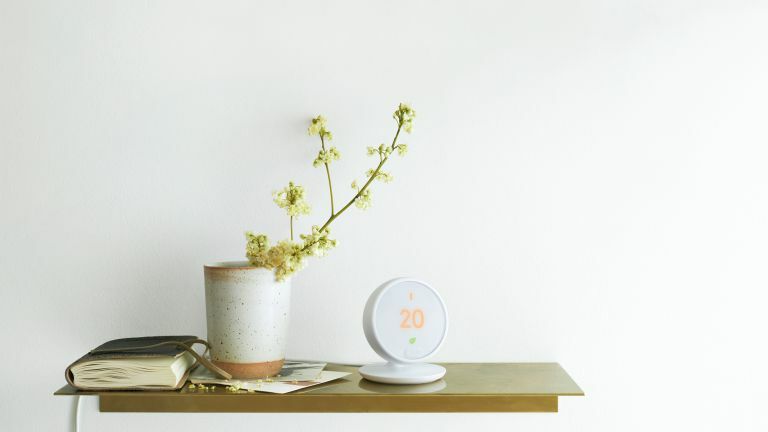 So, whether you're searching for smart tech for your bedroom, clever kitchen tech, smart home buys to kit out your living room or home tech for every room, start with our recommendations.